The combustor is a Mighty mono block burner with fan and oil pump unit removed. It has many special feature thanks to Hodaka’s original construction. 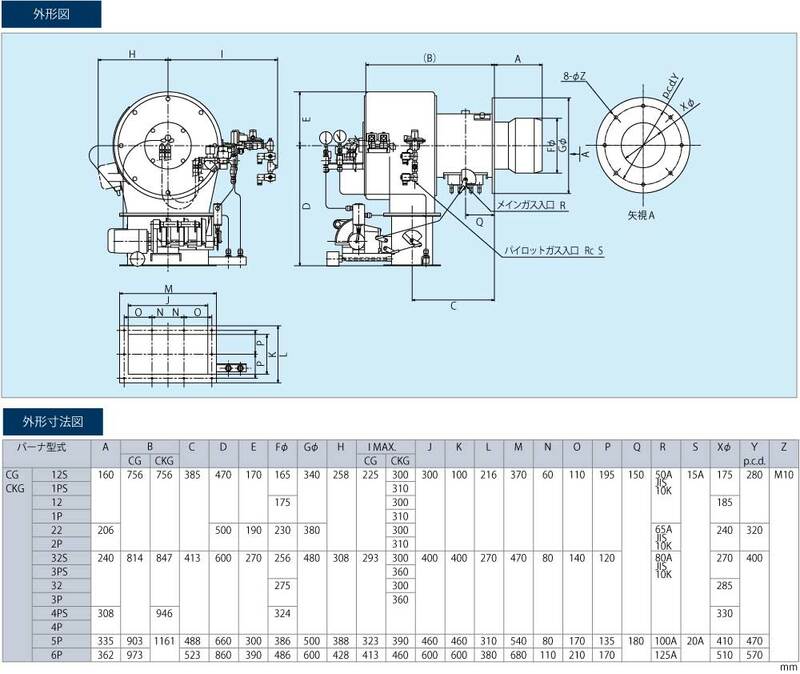 ・As the burner main body contains no fan, oil pump or other rotating parts, it is absolutely silent. ・Air can be heated using the air heater. ・NOx levels are simply kept low by exhaust gas recycling. ・Oil pressure spray method makes compressed air　and steam assistance unnecessary. 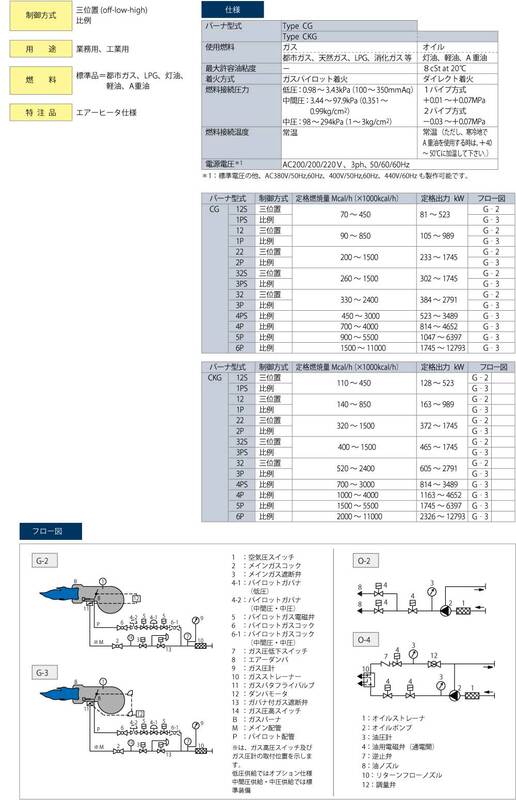 ・CKG Models can be switched from oil to gas combustion with a single switch. 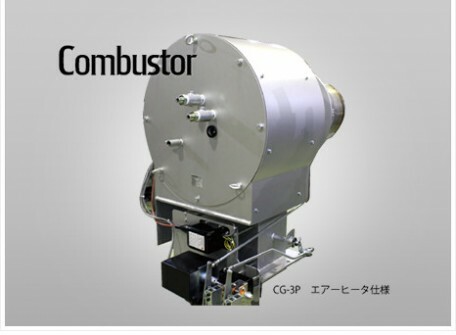 ・Besides the standard Combustor wind box type,　separate types enabling the wind box to be installed in the boiler etc. are available. 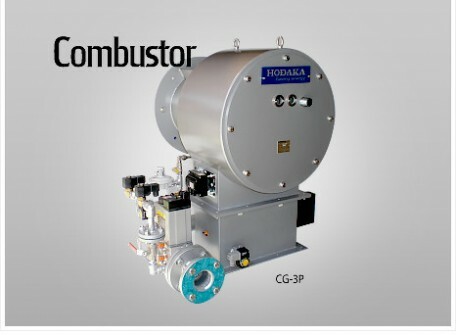 ・We produce special order low NOx,　low soot burners using steam injection,　water spray,　emersion combustion etc.